Claire Burges Watson "Silk Route Adventure" takes you through rolling Mongolian prairie lands, monotonous Kazakh steppes, scales 4,000-metre passes in Kyrgyzstan, and crosses the black sands of the Karakum Desert in Turkmenistan. Throughout the journey, the Long Rider author overcomes numerous obstacles and dangers, such as drunken and sometimes violent guides, hostile border police, raging rivers, snow-bound passes and seemingly endless stretches of desert. In contrast to her remote and often harsh surroundings, coupled with the brutal realities of life in Central Asia after the collapse of the Soviet Union, she encounters the warm tradition of nomadic hospitality, witnessing a way of life largely untouched by modernity. 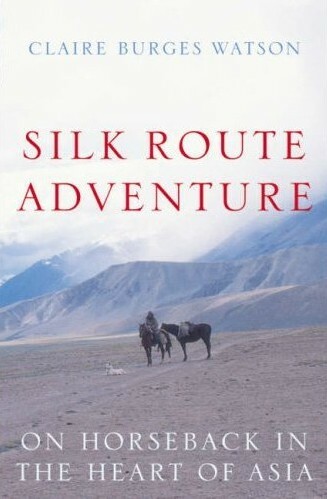 Illustrated with 100 superb colour photographs and an immensely detailed map of the route, "Silk Route Adventure" is an enthralling account of a seemingly impossible journey completed by a determined and eminently resourceful woman.